When Subaru invited me to Japan and the famed Suzuka racing circuit to drive its BRZ tS, there was more on the menu than sporting coupes. The STI buffet also included the Subaru Forester tS. If you caught my BRZ tS review, the Forester follows the same idea: modified for better, more precise handling but without any increase in power. 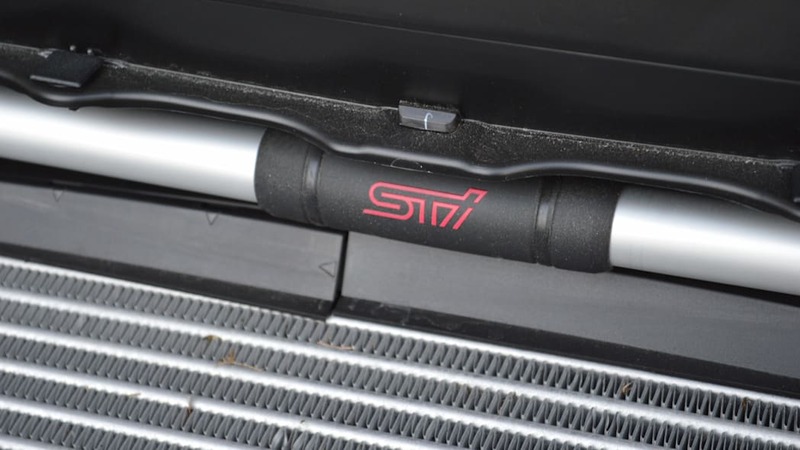 As I shared in the first tS review, and with Subaru's news at the New York Auto Show, the company plans to increase the awareness of Subaru Tecnica International – STI – over the next five years. In the case of the BRZ tS, a similarly-conceived car is coming to the US in the next few years. 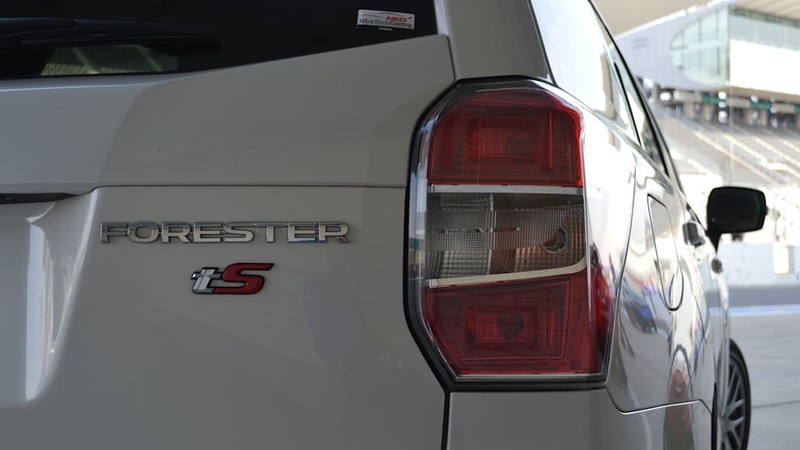 Such is not the story with the Forester tS. 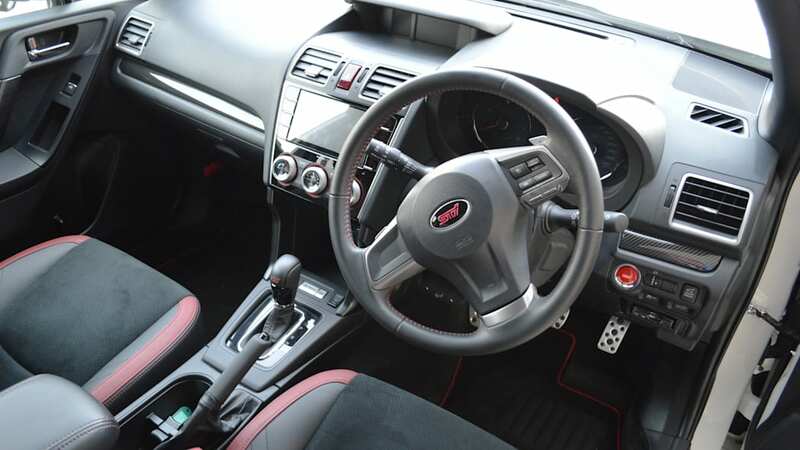 The JDM-only product was on hand to drive as further proof of what STI can do, but not as a preview to an upcoming model for sale in America. 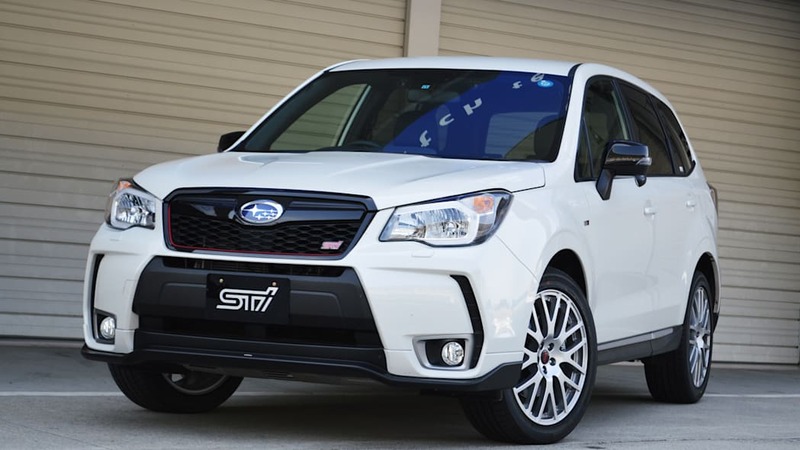 Subaru execs wouldn't go so far as to rule the idea out completely, but there was plenty of wink-nudging admitting the limited market for something like the Forester tS over here. 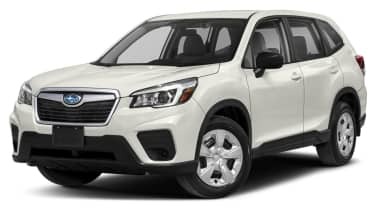 Firmly ensconced in the "forbidden fruit" category, then, I still thought it'd be fun to report on the hot-ish, wagon-ish Forester. This one's for the other car nerds like me. So, what's new on this tS? 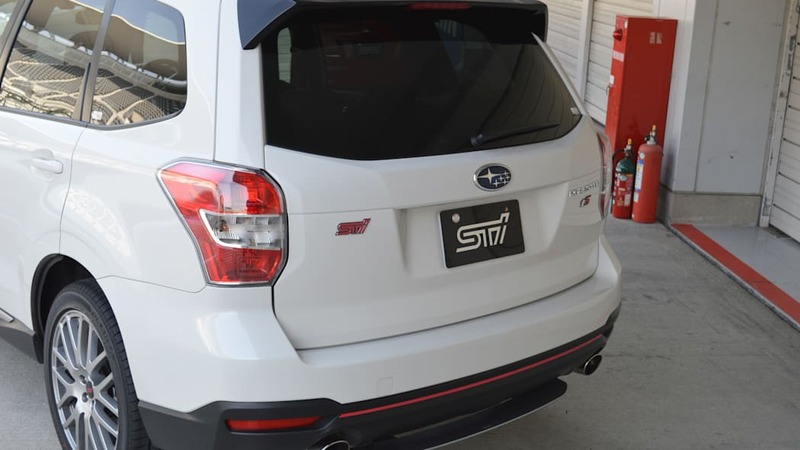 Basically STI made the Forester stickier and less prone to roll under high cornering load. 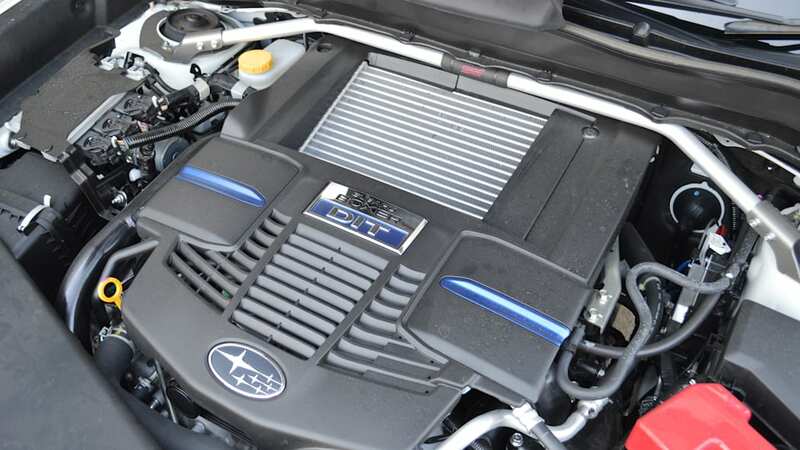 The same type of flexible tower brace previously found under the hood of the WRX is used here, and "flexible draw stiffeners" connect the body to the front and rear subframes for added body stiffness. The braces incorporate a very strong coil spring, and add lateral stiffness with enough give to allow the tires to stay in perfect contact with the road surface. 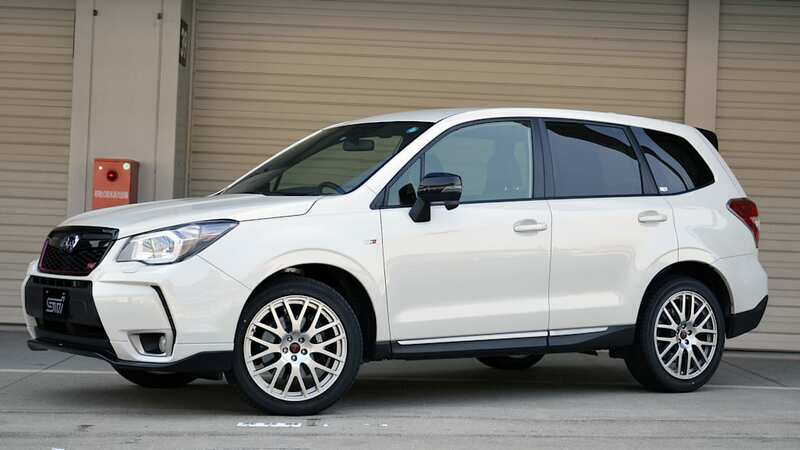 The tires in question are 245-section Bridgestones, riding on attractive 19-inch STI wheels, both increases from the 225-section tires and 18-inch wheels that come standard in the US on the Forester 2.0XT model. 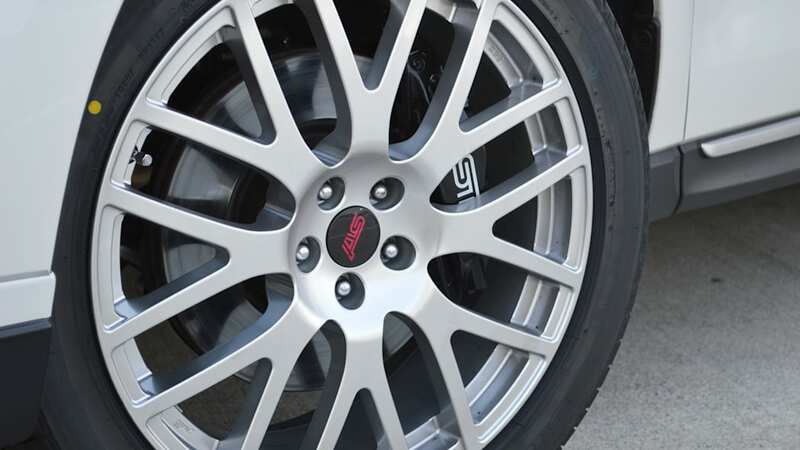 The tS also has a more-powerful Brembo braking package; handy when hauling a 3,600-pound vehicle down from straightaway speeds. 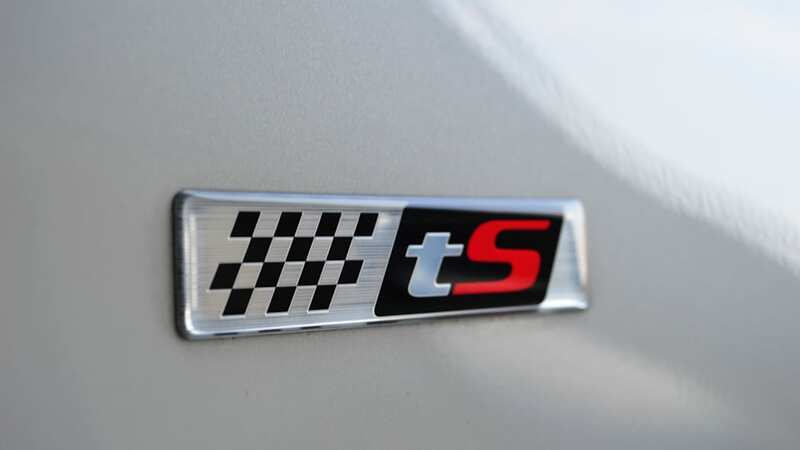 Subaru benchmarked the tS versus other 'sporty' SUVs and CUVs, including out and out performance variants. (Japanese professional modesty prevented Subaru reps from naming specific names, but suffice it to say that the Germans were involved.) 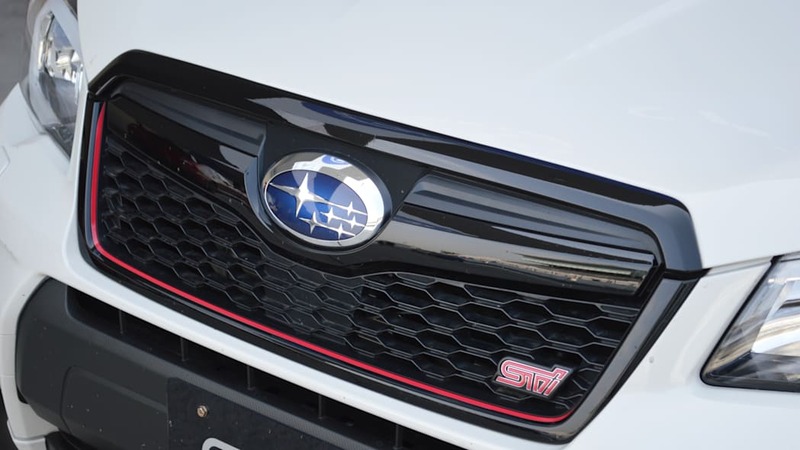 In terms of roll rates, yaw response, slalom time, g-force and more, the Subaru's tS package shows massive improvements versus the standard Forester, and holds up to the competitive targets too. On the street, I've always found the stock Forester to feel composed when pushed, but that poise faltered at Suzuka. I did a familiarization lap with the standard car, and found it to be predictably soft, prone to roll, and full of understeer when pushed to its limits (which is expected for a soft roader like this). Oh, and the stock brakes were not up to the job for long. 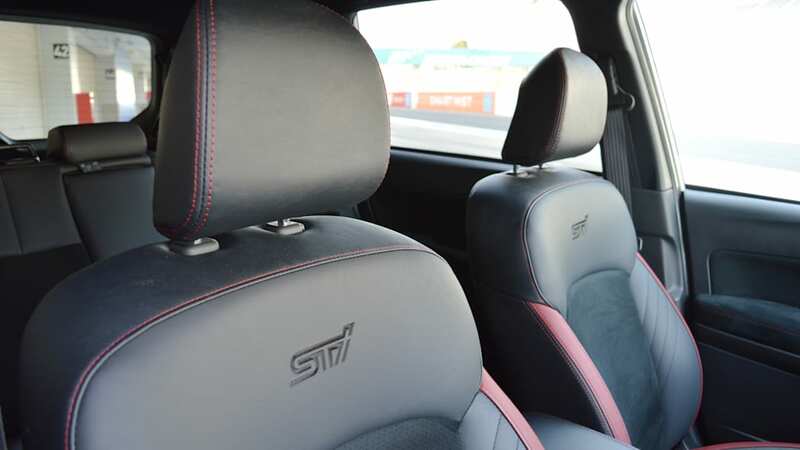 It was satisfying, then, to see the dramatic dynamic improvements wrought by STI. In the very first corner at Suzuka, I could already feel that the tS had banished floppiness from the Forester. It turned in neatly and exhibited far less roll through the body and suspension than the stock car. 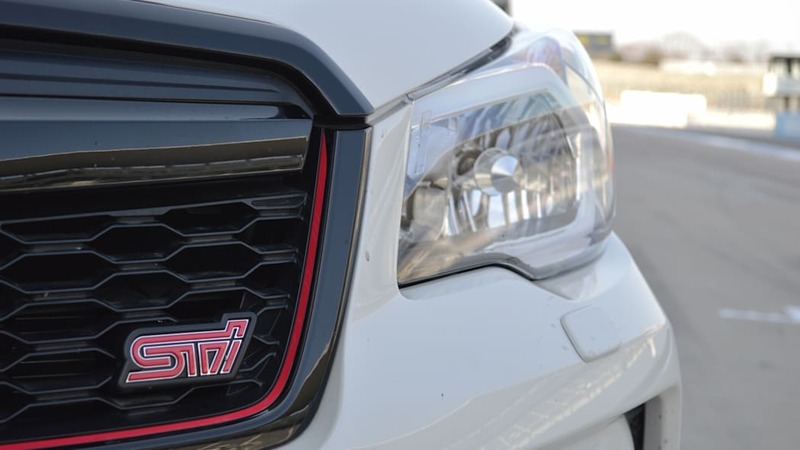 Better still, the Forester changes direction more willingly through the track's section of esses, without lateral weight transfer upsetting smooth inputs. 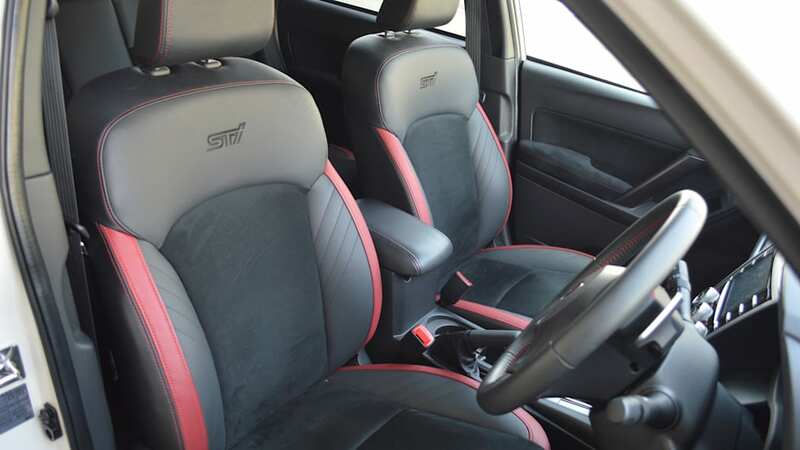 The interior modifications are subtler than the visual updates to the exterior of the tS, but the STI seats are the highlight. Tighter on my large-American frame, the extra support from the front buckets were a pleasure. 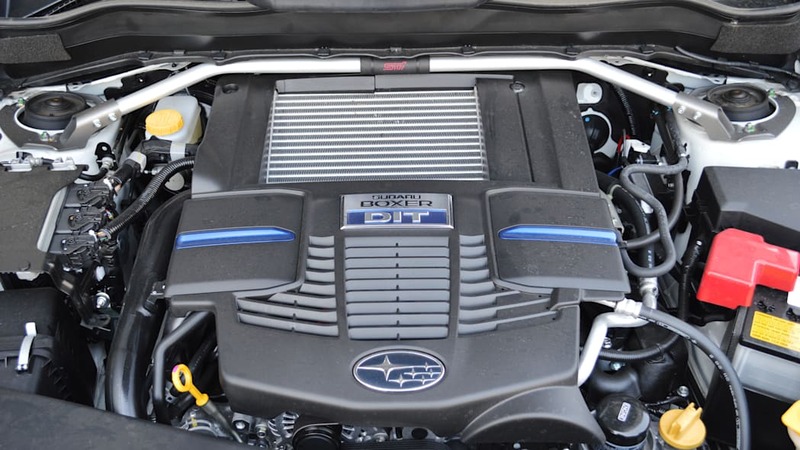 As I said at the top, STI didn't modify the 2.0-liter turbocharged, boxer-four-cylinder; output is steady at 250 hp and 258 lb-ft. But engineers have retuned the CVT programming to deliver more torque to the wheels lower in the rev range, when Sport Sharp mode is engaged. As with the BRZ tS, better handling is its own reward, but no one would object to more power in the mix. I wasn't in love with the CVT transmission for a day at the track, though the paddle shifters did let me keep the turbo on boil for fast corner exit. And the tuning for accessible torque was useful when hauling the big girl out of slower corners. 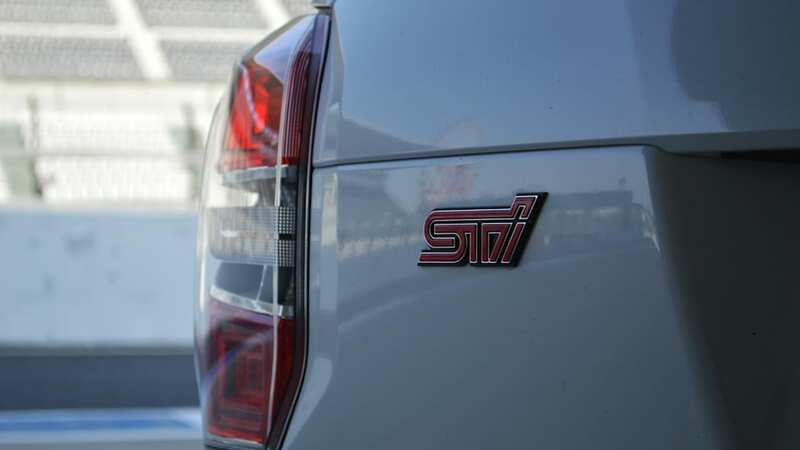 Is it silly to drive a close-to-two-ton family truckster at an Formula One-worthy racetrack? Absolutely. 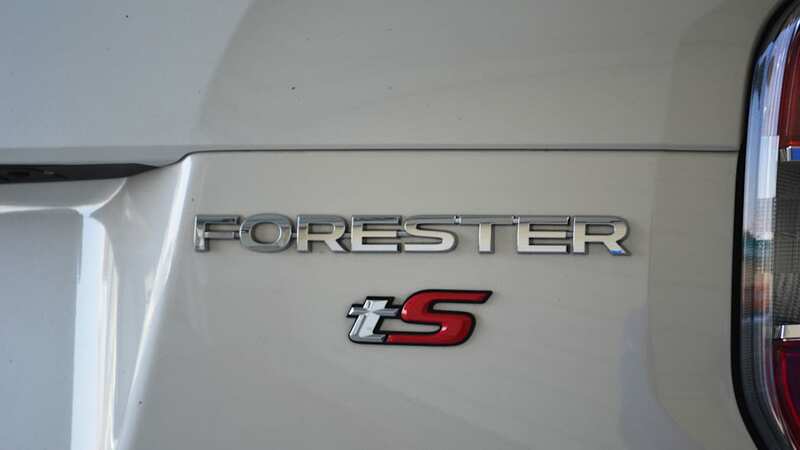 But it was still a hell of a lot of fun, and the Forester tS left me impressed. 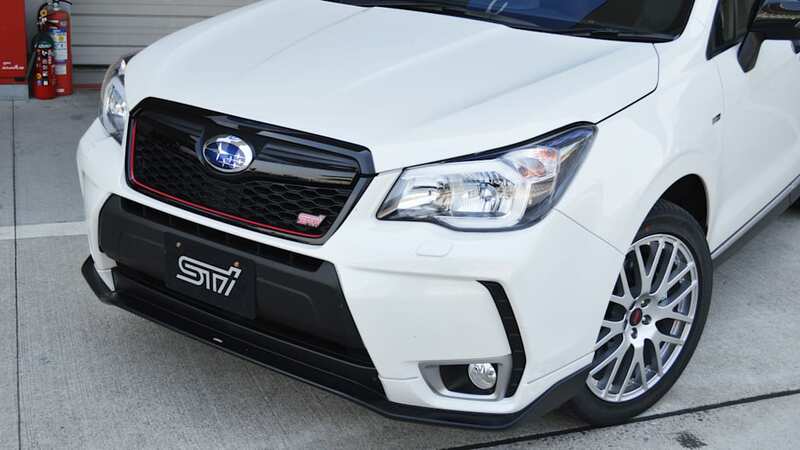 In fact, the dynamic difference between the Forester tS and the base model are larger and easier to pick up on than the delta between the base BRZ and its tS variant. 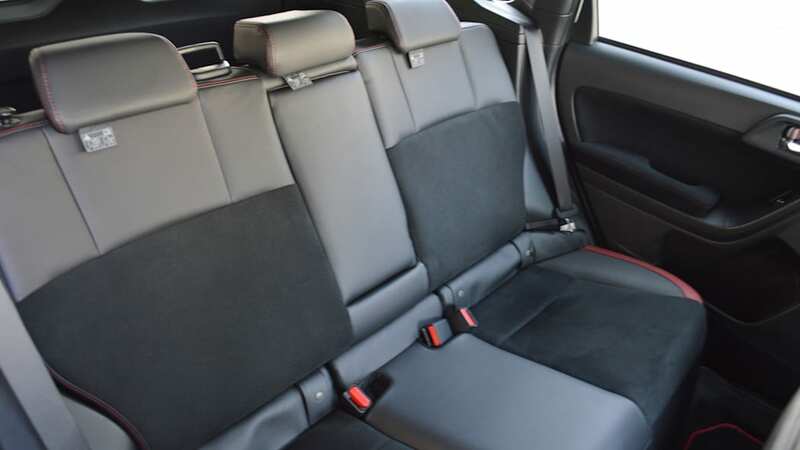 The BRZ is a tight-handling car to begin with, where the comfort-tuned Forester has lots of slop for STI to tighten. It's a cool car. If you were looking for yet another reason to be jealous of the cars sold only in Japan, here you go.